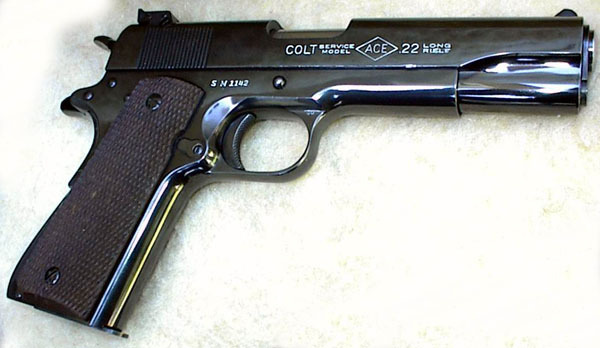 Colt Service Model Ace Serial Number SM1142 - This SM Ace serial number SM1142 has matching slide. The gun has been reblued. It was inspected by Charles S. Reed (CSR). SM1142 was shipped on January 28, 1941 to the Norfolk, VA Naval Base. 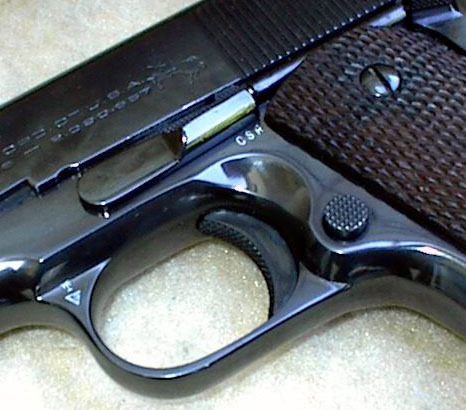 The initials of Major Charles S. Reed, Officer in Charge of Outside Inspection, were stamped on all M1911A1 pistols and some Service Model Ace pistols manufactured in 1940-41, signifying government acceptance of the pistol. 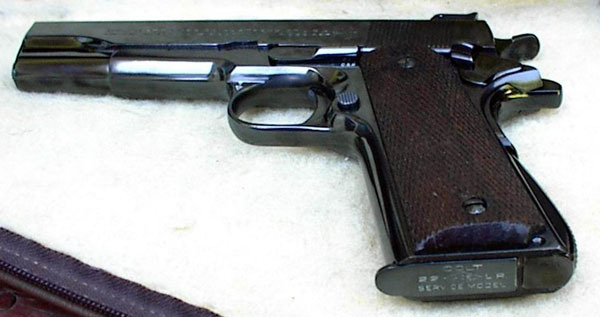 His initials were stamped on the left side of the receiver below the slide stop in accordance with Ordnance drawings. 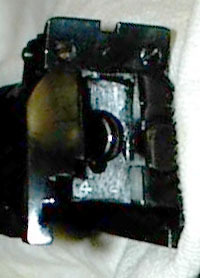 They were also stamped on the top of the receiver near the disconnector hole to indicate provisional inspection, replacing the previous letter "R" within an oval. Left side of Service Model Ace SM 1142. Serial number under firing pin plate matches number on frame.